Welcome back to another British history lesson for you to cozy up to on this fine Sunday. is the guy we can credit with the establishment of the well-known Westminster Abbey, and his frequent time spent in Westminster solidified London’s place as a government center. Edward’s reign is relatively peaceful, and it is his devout religious convictions that give him the title “the Confessor.” Indeed, there are many miracles attributed to him, including visions and the curing of the sick. He dies a week after Westminster Abbey is dedicated, unfortunately, in 1066, yet his significance is immortalized when he is canonized as a saint nearly 100 years later in 1161, buried in the very abbey he founded. St. Edward the Confessor’s grand wooden tomb is visible in the abbey, though only through special tours or prayer sessions can you approach it up close. 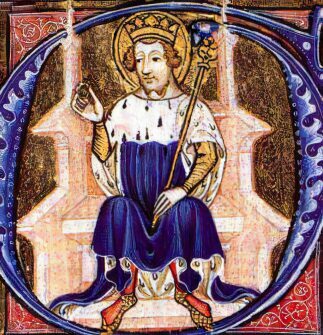 This post is actually quite timely, as “The Octave of St. Edward the Confessor” is being held at Westminster Abbey from 11-17 October in commemoration of the King’s life and work. The week-long prayer will be sung by the Choir of Westminster Abbey.